Looking for your next counted cross stitch project? With over 17,000 cross stitch patterns, leaflets and books available, we're sure you can find the perfect pattern! Below are the main pattern categories to help you begin. Take your time! Enjoy your shopping! If there is anything we can do to help you please let us know. Looking for something specific? Tell us what you're looking for and we will search for it! PINN Stitch-Art & Technology Co. Ltd. 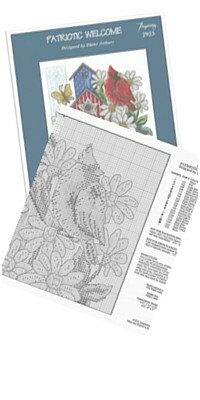 These designs on our site are for Counted Cross Stitch. This means you are purchasing the printed chart, book or leaflet which includes the instructions, chart, and supply list to complete the project. The supplies are sold separately. Don't Worry! 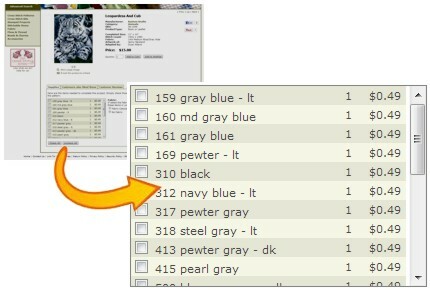 We show you the suggested supplies and make it easy to purchase the items you may need. This way, when your package arrives you are ready to go! We show you the Floss, Fabric and Everything else you need! One final note: New patterns are added every day. We do our best to keep up, but if you find a pattern without a supply list contact us. We will do our best to get those supplies listed as quickly as we can.